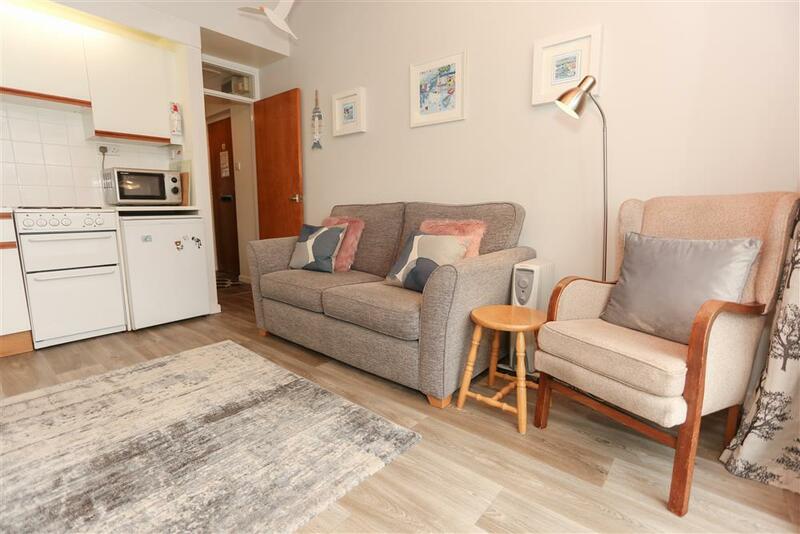 Guests are overjoyed with the location of this private quayside development five minutes walk to the town centre and the famous Ffestiniog Railway steam train station. Many guests returning to South Snowdon Wharf say 'When the tide is in, sitting here is just like being on a boat' and we couldn't agree more! This south facing apartment will not fail to please. 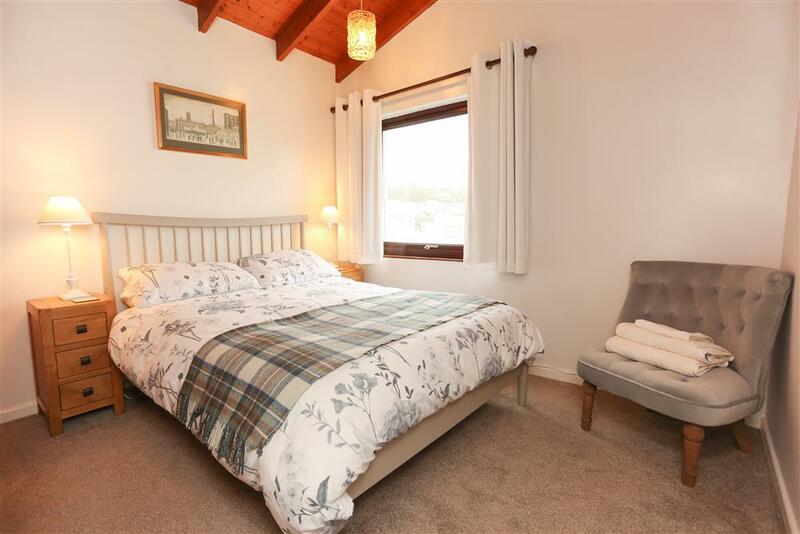 Situated on the 2nd floor, the apartment is comfortable and conveniently prepared with elevated panoramic views of the Snowdonia mountains and the Dwyryd estuary. 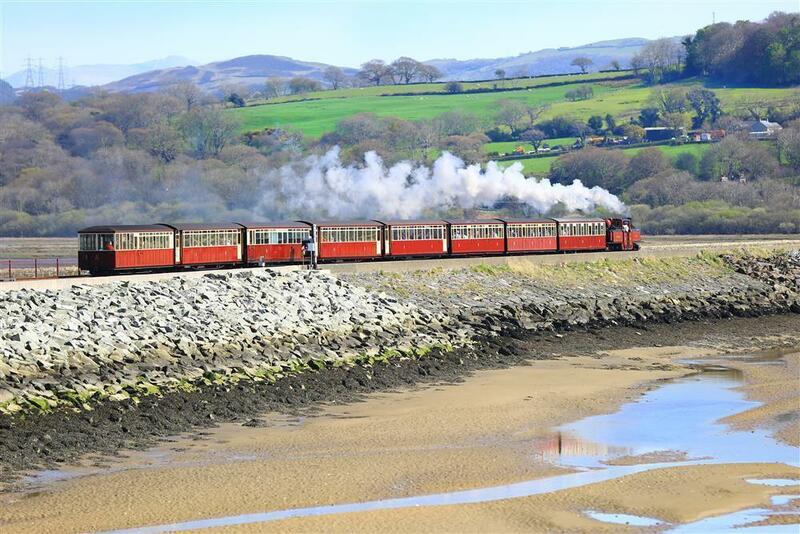 The apartment is within walking distance to the Ffestiniog Steam Railway station, the shops etc on the high street (5 mins) and 20 minute walk to Borth y Gest beach. Good central location for a holiday property in North Wales. Easy access to sandy beaches at Borth y Gest 15 min walk and Morfa Bychan Black Rock Sands (2 mls). Snowdon and the pretty village of Beddgelert are 7 mls, Portmeirion village, prestigious hotel and gardens are 2 miles. Cricieth, Caernarfon, Harlech are just a few of the castles in the area. 1 BEDROOM with Double bed. Bed linen and towels are provided. 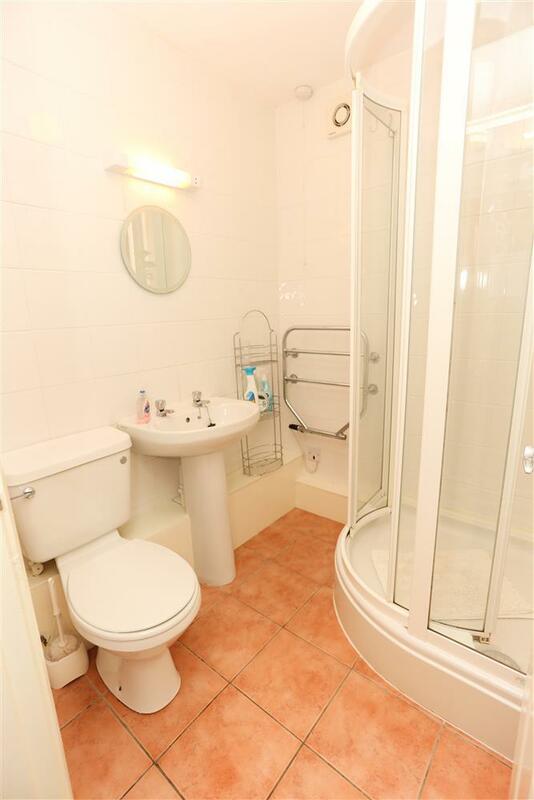 SHOWER ROOM with WC and instant electric shower. Sunny BALCONY with seats to enjoy the views across the estuary. HEATING: Night storage heater and electric heating. 10% Multi-week Discount available on request, for booking 14 consecutive nights. 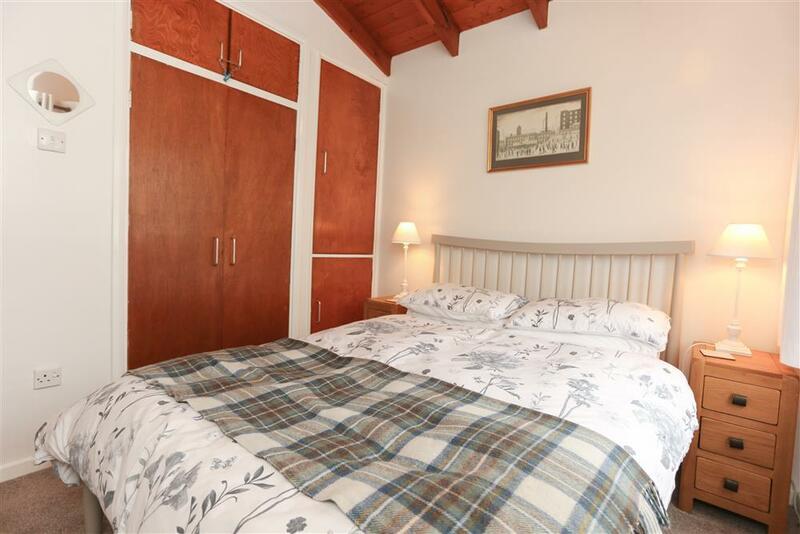 Mr & Mrs M (January 2019): "A lovely break for New Year's Eve in this very clean and pleasant Apartment. The views are absolutely magnificent!" Mr & Mrs R (October 2018): "We have had a lovely relaxing week in this very clean and comfortable Apartment. We have thoroughly enjoyed watching the birds and the ever changing views, with some stunning sunrises and sunsets. The walk along the coast path from Borth-y-Gest to Black Rock Sands is well worth the effort. 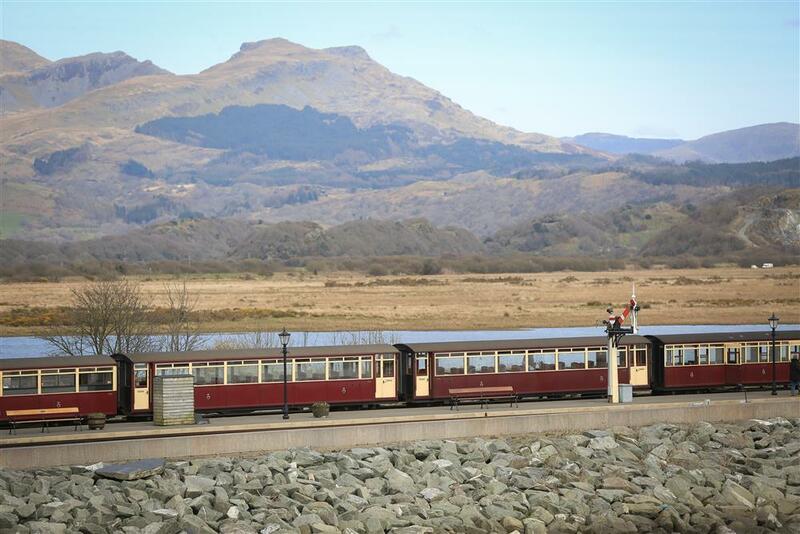 And finally no holiday in Porthmadog would be complete without a ride on the Steam Trains." Mr & Mrs H (September 2018): "This is our 2nd visit to your Apartment, very comfortable.... we have had a wonderful week." 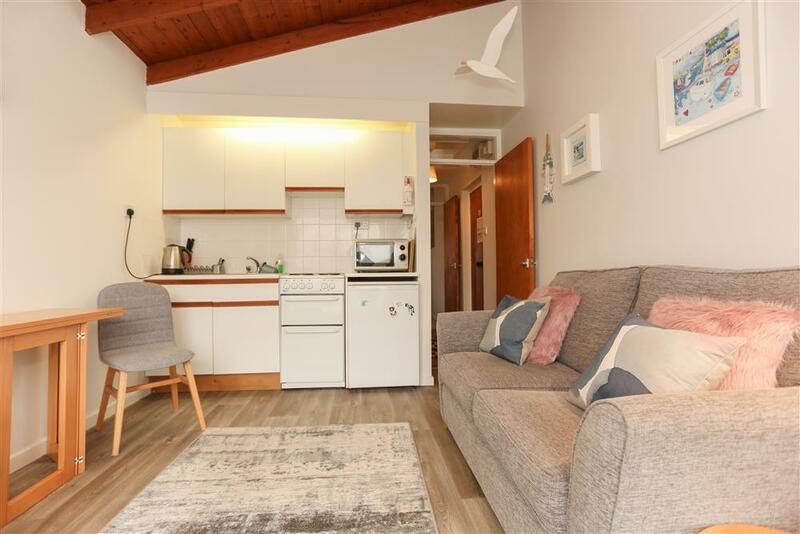 Mr & Mrs N (September 2018): "Good week in this lovely apartment despite all that the elements could throw at us.... We love watching the birds on the estuary and the trains. We will come again." G & J (September 2018): "Here we are again - and why would you want to be anywhere else? Wouldn't miss it for the world..... so sad to leave this beautiful spot... The apartment looks lovely with the new colours, it's just like coming home." Mr & Mrs G (August 2018): "Excellent Apartment. Loved the wildlife on the estuary, always something going on!" P & J (August 2018): "Glad to return. Another lovely week!" A & J (July 2018): "We have had a lovely holiday, 1st few days weather was glorious. The Apartment and it's views is well worth the distance travelled." Mr & Mrs H (July 2018): "Had a lovely quiet holiday. We love Porthmadog & the Apartment views. We will return here, hopfully next year." Mr & Mrs M (June 2018):"What can we say 'Special Place!' "
Mr & Mrs P (June, 2018): "Excellent location. Well equipped apartment. Comfortable bed and enough space." 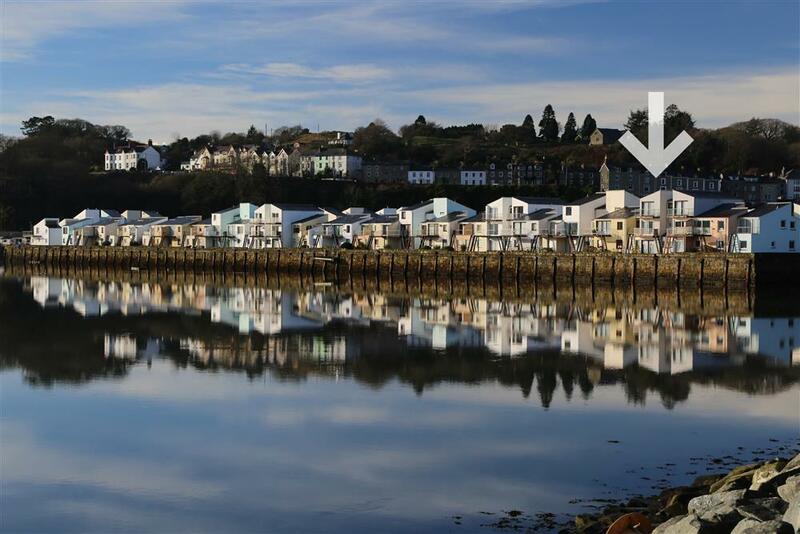 "Located on the harbour with lovely extended estuary views this attractive, well presented second floor apartment continues to be very well maintained, with decor refreshed and high levels of housekeeping throughout." Access to the second floor flat is gained by three flights of stairs (there is no lift). The first flight consists of 14 steps to the first floor landing. The second flight to a half landing consists of 7 steps and then a further 7 steps to the second floor landing. There is a continuous handrail on one side to the second floor.